I rather like Christmas, a little guiltily. Most of my friends scorn it for its capitalism, its Christianity, or both — but I can’t help but love it. My family celebrates an assuredly secular Christmas in the best of British-Germanic traditions: mountains of delicious food we’ll be eating for a fortnight; a house decked in evergreen; Nat King Cole on the stereo; an exchange of well-chosen presents; shouting obscenities at the Queen’s speech; a boozy descent into the dark evening, curtains shut against the howling wind. Christmas does mean family for me, and a week of celebration (my birthday is three days after, and Hogmanay three days after that, so I don’t recover for quite a while), but it also means a time of comforting and essential rituals. There are little things we do every year: things we have to say when putting up the tree on Dad’s birthday (the 17th), decking the halls on the 24th, going for a Boxing Day drive round Orkney with my friends, things that we do and that nobody else does, or that everybody else does in one form or another. They mark time, these rituals: each year they affirm that we’re still alive. I’m not sure what I’d do if I didn’t have some of them every year: it’s long-form OCD, a traditionalist way of turning the light switch on and off 17 times to make sure the world doesn’t end. 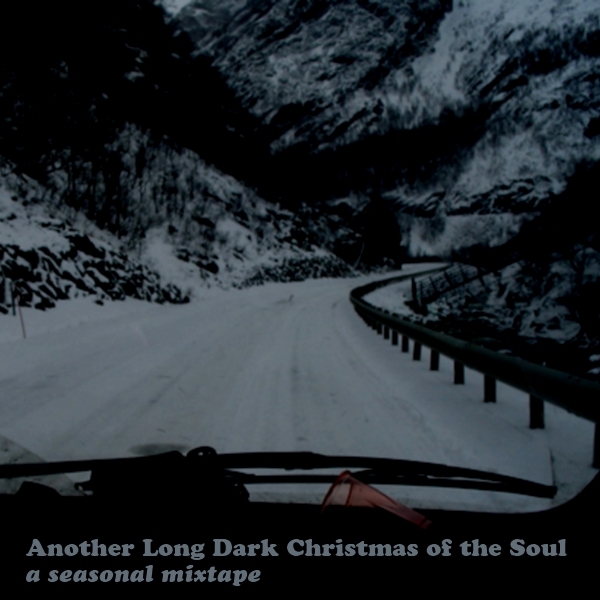 Anyway, one of my rituals, practised for the last five years or so, has been to make a Christmas mixtape. Lots of people do this, and the Hype Machine and the mp3 blogs are packed with pop carol covers and cynical country ballads for the duration. 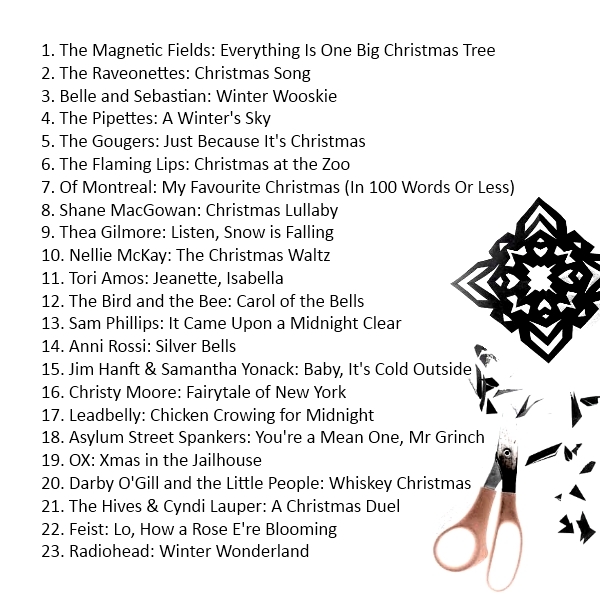 This year, as with some past years, I’ve made two: one pretty dark and one pretty light. 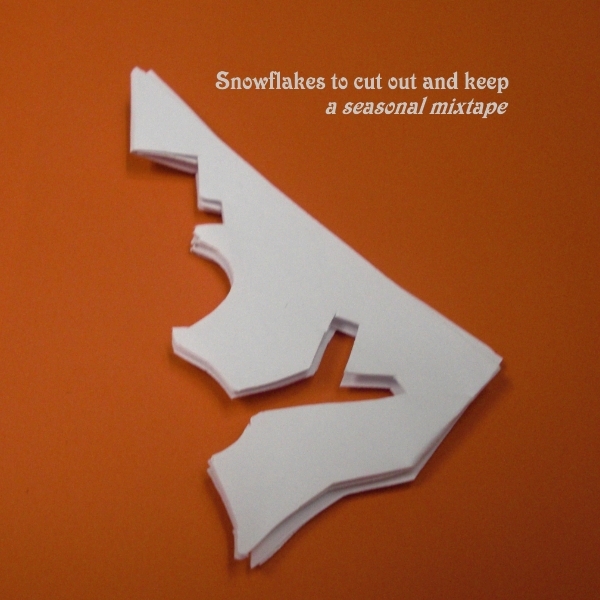 But this year more than others the two have bled into each other: there’s a Christmassy sadness permeating Snowflakes to cut out and keep, and a certain festive optimism hiding behind the doom and gloom of Another long dark Christmas of the soul. Christmas marks the year especially for me, because for me it’s all of a piece with my age digits going up by one and the calendars flipping over. Each year seems slightly less full of surprise and mystery than the last; more self-conscious now, the rituals are a bit stuffy, and they’re eroding. But at the same time, I understand more about what family means to me, about how grateful I am for my home, and how much I love my family, my friends, and this time of year. Enjoy the mixes. 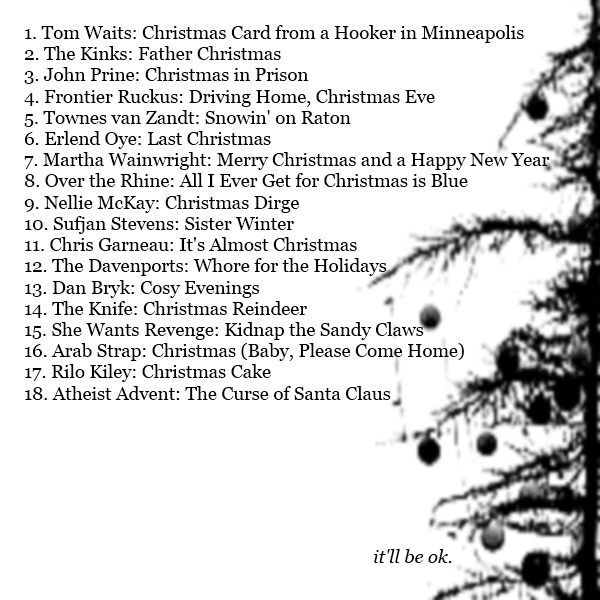 I’ll be playing them all month; they’re a good antidote to hearing the same old songs in rotation in the shops. Better still, make your own.